The opening panel will discuss what the Asian Century might mean and how the White Paper might address the implications for Australia. Panellists explore the issues of state building with reference to the island states that make up the “arc of instability” to Australia’s North East. The Asia-Pacific power structure is in flux, as new powers such as China and India have risen and are challenging US primacy in the region. Panellists look at case studies that have captured the attention of media outlets and through popular culture in Indonesia, South Korea, Thailand and China. The Great Debate takes a lighthearted approach to whether the 21st Century belongs to Asia; focusing on entertaining as well as convincing arguments. Does Australian aid have a future in the Asian century? Academics debate if Australia should continue to support Asia with aid or direct its aid elsewhere? 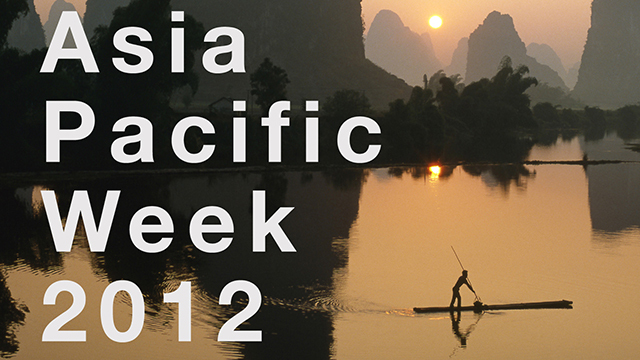 In the penultimate panel of Asia Pacific Week 2012 discuss questions pertaining to the Asia Pacific region and Australia’s place within it.